In our continuing exploration of What Schools Want? we reflect on learning from the first year of our schools brokerage offer to East London Schools with insights from our Creative Schools brokers as well as teachers and artists working together through Creative Schools. As we get ready to move into our second year of Creative Schools activity and start working with schools signed up to Creative Schools Artsmark, we brought cultural leaders from twenty-five East London organisations together in our Collaborative Learning forum to share insights acquired over the first year of brokerage activity and to survey the landscape of opportunities for working with schools in East London in 2017/18. To kick off the session, our School Partnerships Coordinator and Schools Broker, Bex and Andrew, reflected on the successes and challenges encountered so far and shared their insights into building successful relationships with schools. The Creative Schools Three P’s: Bex and Andrew’s top tips for building relationships with schools. People: take the time to build trust and shared understanding with both teachers and senior leaders in a school. Purpose: ensure that your offer is relevant to the school’s needs and has purpose by taking the time to research the school, translate your ambitions into school’s language, and link your project to whole school improvement. Patience: building a new partnership with a school will often be front loaded in term of investment of your time and capacity, but putting in the time at the start will facilitate trust, shared vision and long term engagement and impact. With so much expertise in the room, we spent some time adding some additional P’s as well as few other letters to our list of top tips! Partners had an opportunity to get a teacher’s perspective with Noreena, one of the inspiring teachers working at Roman Road Primary School in Newham, who shared her incredible insights into her school’s journey from low arts engagement to valuing the arts across the curriculum. Roman Road is currently building partnerships with arts organisations through Creative Schools including dance and literacy projects; working towards their Artsmark accreditation; and developing an Arts Policy for the whole school. Be creative with how you link your project to school improvement priorities to unlock support from school leadership, this can really help teachers to advocate for a project. Looking at the school improvement plan is a great place to start – all schools have these published on their websites. You can strengthen your project by using school language such as “progression”, “attainment levels” and “achievement” to demonstrate how you are helping the school to solve a challenge or meet a key priority. 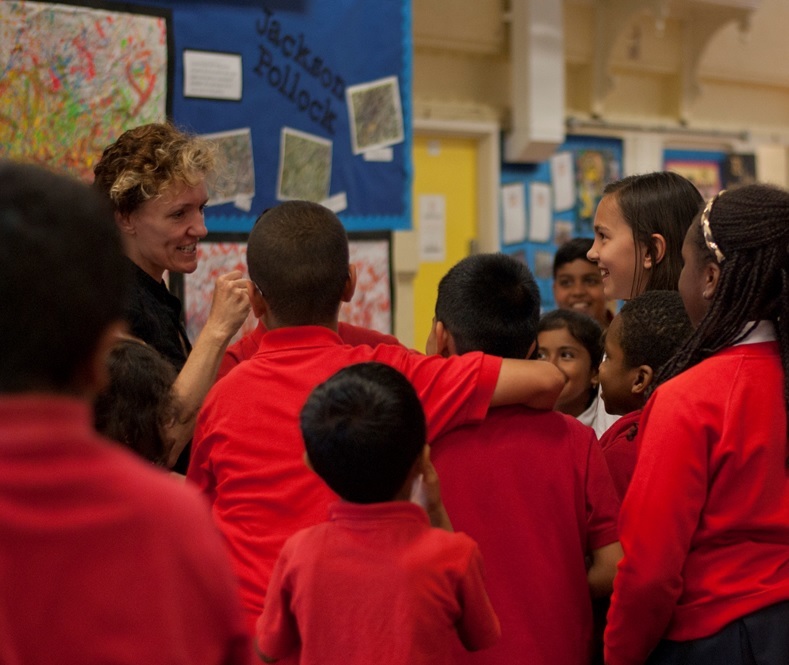 Last Autumn Roman Road Primary worked with artists from Studio Wayne McGregor, to support students to link their ideas for English through expressive dance. Find out if the school has an Arts Policy or is doing an Artsmark. Roman Road is currently writing its own Arts Policy, and is completing an Artsmark case study to gain national recognition for their arts practice from Arts Council England. When resources are scarce consider ways to join up across a group of schools. This year Roman Road is working with Central Park and Brampton Primary schools on a shared project with Poet in the City and Stratford Circus Arts Centre designed to inspire their Y5 students to explore literacy creatively, whilst strengthening links with neighboring schools. As part of the project teachers from all three schools will take part in shared CPD, reducing costs for each school. Project legacy is vital to having a long term impact for the school and the young people taking part. How can you support teachers and students to stay inspired and build on the activity you have delivered? A great way to start might be to include the class teacher in your project planning and delivery. Teachers are some of the most creative people in the room so make sure they are involved in what you are delivering– this can also be a useful way to build teacher expertise, confidence and skills in arts projects. Artists Andy and Jonathan from Output Arts, an arts collective based in Hackney that combines bespoke technology and art to make innovate audio visual installations, shared their experiences of co-designing projects with schools and creating opportunities across the whole school community. As part of Creative Schools, Output Arts are currently working with Grove Primary School in Redbridge, on a bespoke digital arts project involving a talking post box, which was co-designed with teachers to address the school priority to support literacy and creative writing with boys. Inclusivity: Work across the school community, the staff are sticking around and will have a lasting impact, the pupils are passing through. Legacy: Make a lasting difference through training and involving people, as well as creating something that also lasts that will have lasting value, something the school could not make themselves. Listening: What does the school want? Does the school know what it wants? What stage are they at? Content? Budget? Space? Pupils? Do they need more help and time? Initial meeting: Involving both staff and senior management is really useful though sometimes not possible, but a lot can be sorted quickly if this happens. A chance for clarity, commitment, and understanding. Budget: It is useful to set out a clear budget early so time is not wasted on a big project that is financially out of reach. Bespoke: Offer creative solutions and ideas that excite all. Not a one size fits all. As artists, how can our practice also benefit? Becomes a more creative brief. Managing expectations: Not just about numbers through the artist staff in attendance and working and learning alongside the artists and pupils. Valuing the arts and what we do. Time: It takes more time to develop and negotiate and is more risky to but is a better fit and can target specific areas and student. Its been an incredible year of Collaborative Learning with 60+ cultural organisations from East London sharing experiences and practice through monthly sessions looking at ‘What Schools Want’, ‘Participation in Action’ and ‘The One About the Money’. We are kicking off our next round of brokerage with schools this May and will be tweeting about all the exciting projects being delivered during the summer term @EastLondonCEP.